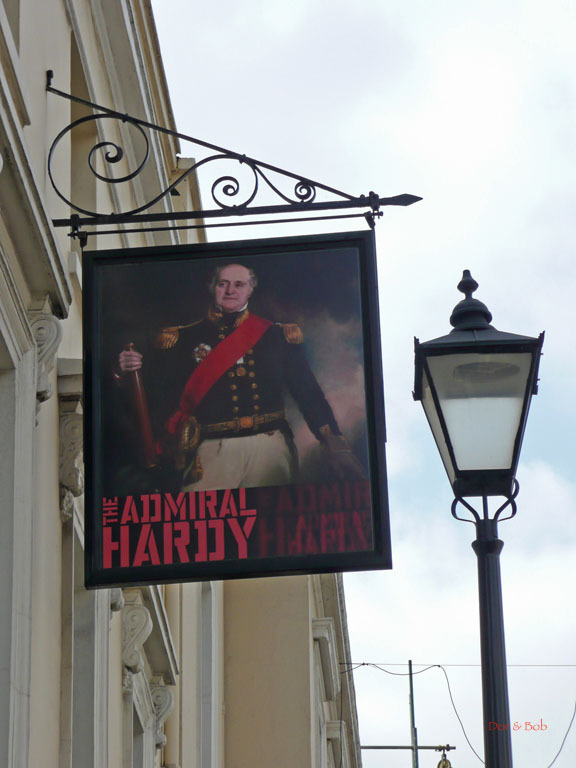 Admiral Hardy was the captain of the HMS Victory (the famous ship where Nelson was killed during the victorious battle of Trafalgar). 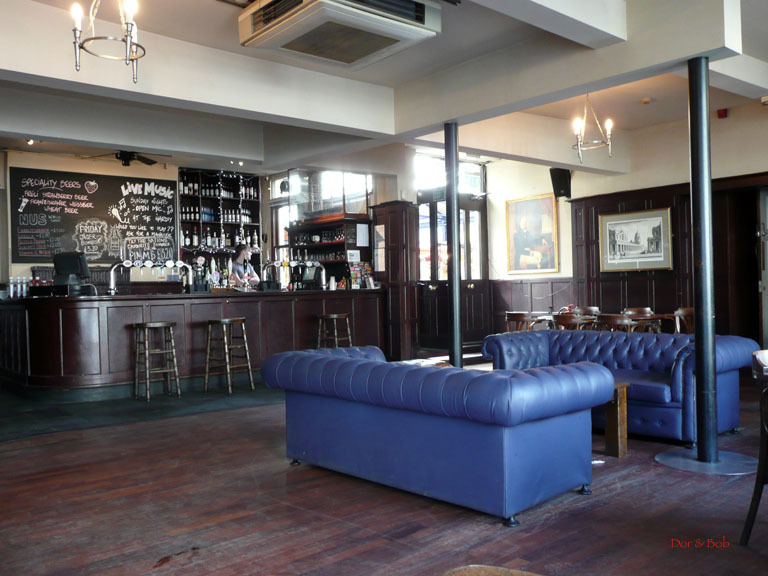 The main area in the pub is one big room with a modern ceiling and wood floor but old wood panelling on the walls and the bar. The space is quite bright. There are a number of mismatched wooden tables and chairs (some old and some new) and a couple plush leatherette couches. The smaller room in the pub in back and the windows throughout open onto the covered Greenwich Market. Clientele is both locals and tourists. 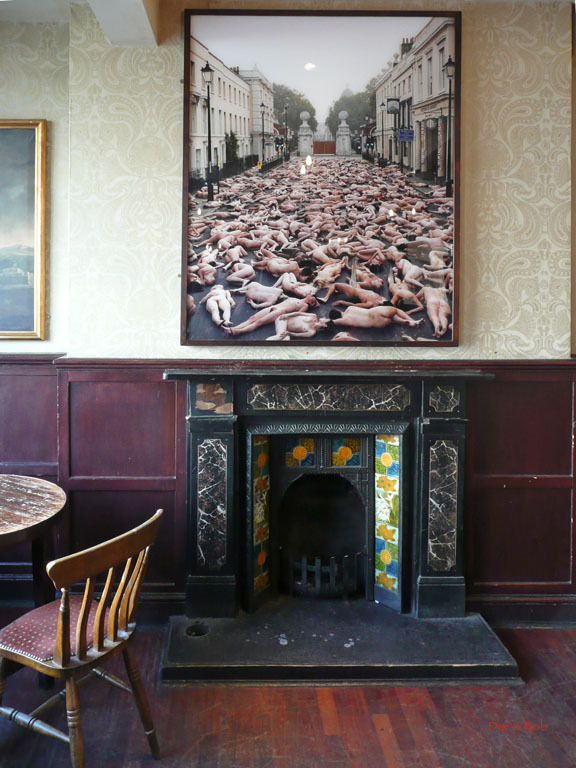 The most distinctive feature of this pub is a large photograph hanging over the fireplace. The scene is the street outside the pub. Itâ€™s a wet overcast day and the entire street is covered with naked men and women lying as if dead. 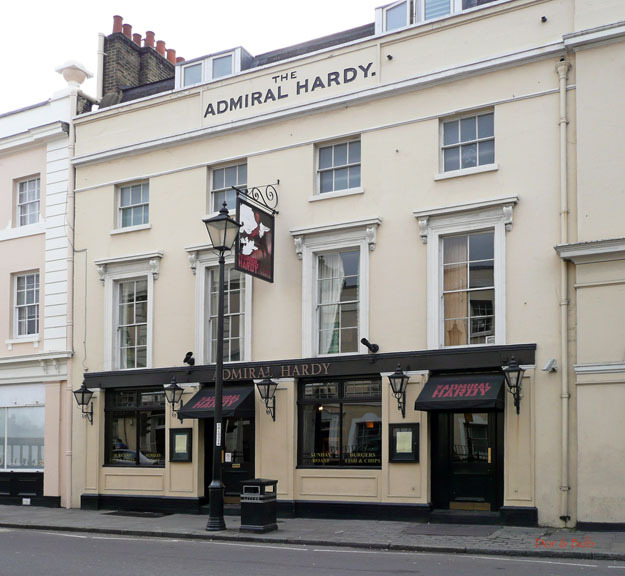 Other paintings are historic - naval scenes and portraits and Greenwich scenes. Thereâ€™s also a classic model ship behind the bar. 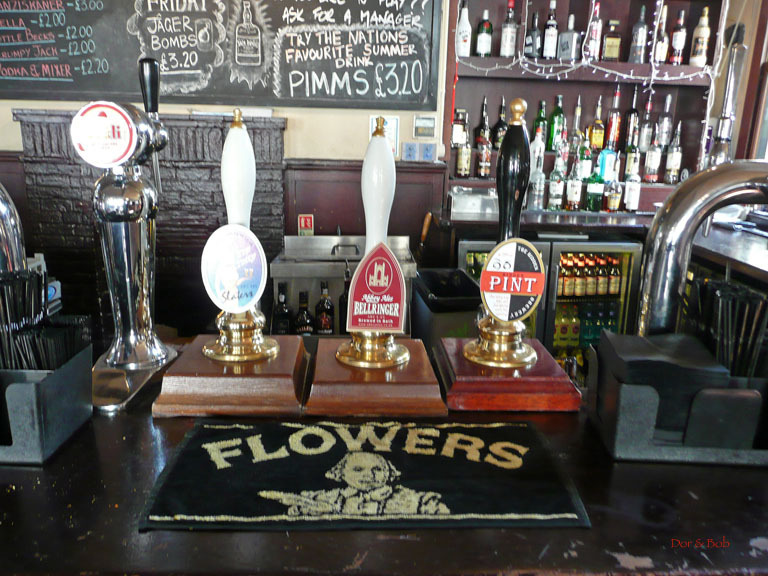 There are three real ales available to choose from. On our visit they were: Hidden Breweryâ€™s Hidden Pint, Abbey Ales Bellringer, and Slater Ales Top Totty.